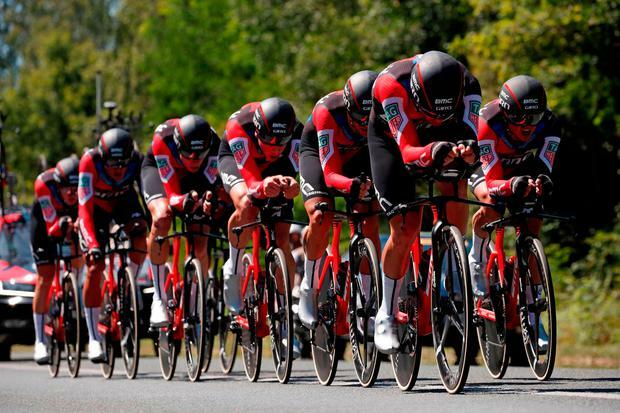 BMC edged out Team Sky for victory in the stage three team time trial at the Tour de France but Chris Froome was able to wipe out many of the losses suffered in Saturday's chaotic opener. What had once been viewed as an opportunity to make time had become a chance to gain it back after Froome lost 51 seconds to his main rivals on Saturday. And though Sky missed out on victory - and a chance to put Geraint Thomas in the yellow jersey - Froome was able to eradicate the deficit to many of the other contenders. Quick-Step Floors nicked third place in a time of 38:53, while Adam Yates' Mitchelton-Scott team were a further two seconds behind before some much larger time gaps further down the order. Thomas missed out on the yellow jersey by just three seconds, having started the day sixth in the general classification and one second up on Van Avermaet. Movistar could only manage 10th place on the day, 50 seconds off Sky's pace, which meant Froome is almost back on level terms with Mikel Landa and Alejandro Valverde while Nairo Quintana drops even further back after his opening day woes. Dan Martin's UAE Team Emirates team could only manage 15th place, one minute 39 seconds off the winning time, after key man Oliviero Troia suffered an early puncture. "Just going on the feeling, I think we can be pretty happy," Froome said. 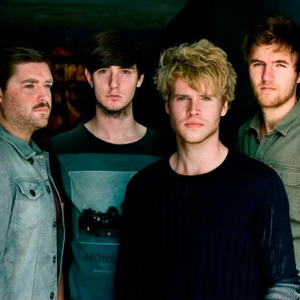 "We gave it everything we had and it all went pretty much to plan. You can never tell who is going to be on a good day or not, but all in all it worked out well for us. "Obviously the (Tour) didn't start too well with the crash on stage one but that's bike racing. We'll take it day by day. "It's reassuring to take back some time. It would have been nice not to have lost it in the first place. But as I say, that's bike racing. I think there will be a lot more time lost throughout the GC group before we hit the mountains. "One day you gain, one day you lose. That's the nature of the game."